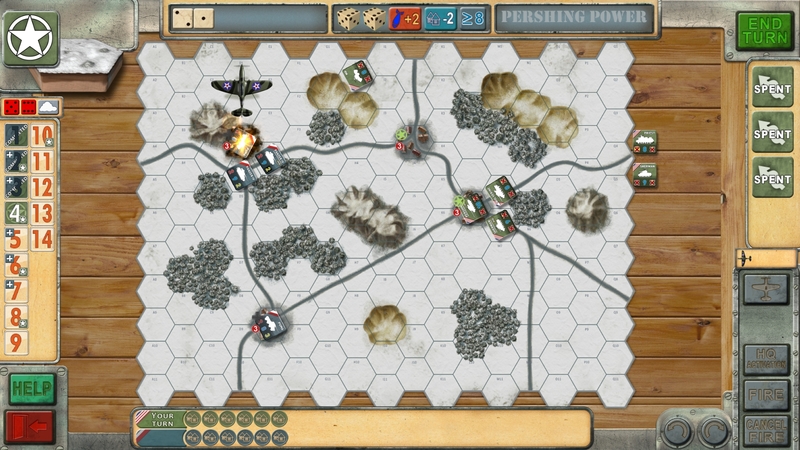 HexDraw is state-of-the-art, computer game development software with a focus on hexgrid wargames. 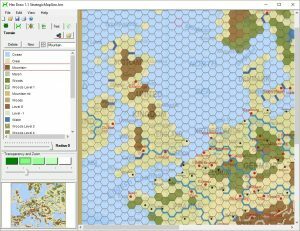 As a long time wargamer and programmer, HexDraw founder Jo Bader combines his skills to create strategic games based on hexgrids. 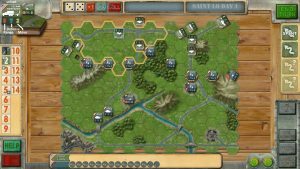 For more information and discussions visit Hexdraw Users Group on Consimworld! 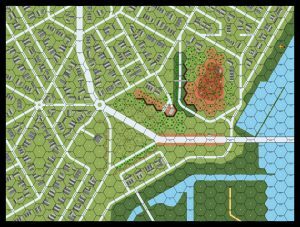 HexDraw helps you to easily create different terrain features like roads and hexes in plain colours or textures. (Some textures are included but you may create your own textures). With your favourite bitmap-painting program you can draw anything you like directly on the hexes such as buildings, cities, space stations … Your drawing will then have the right size and position. You may load an image as the background – let the map be see-through and place your artwork on top. This could be an image from Google earth or a historical map. Background images can be resized and rotated so as to fit your hexmap. You can print your map on multiple pages and play your own design wargame, playtest map, historical Advanced Squad Leader Scenario, etc. Exporting the final map as a bitmap image for further use in other graphics design programs is also included. Released: December 2016 on Lock ‘n Load Publishing and May 2017 on Steam! Tank on Tank Digital is a board game, many wargamers will know, transferred into a computer game, with 38 different scenarios in 2 modules, and some longer campaigns. Tank on Tank Digital brings the excitement of Peter Bogdasarian’s Tank on Tank series to the PC. Fight battles and campaigns on both Eastern and Western fronts. Command Panthers and Tigers against T-34s and KV/85s in Russia, or against Shermans and Pershings in Europe. 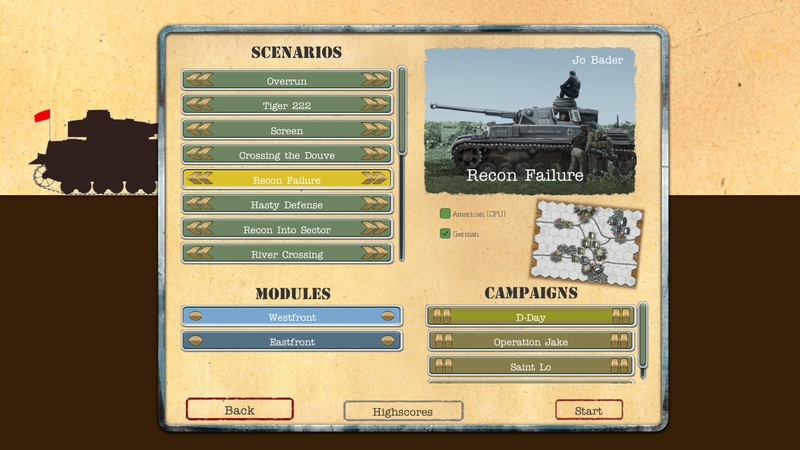 Send armored infantry against anti-tank guns and artillery positions, protect valuable convoys, and lead all-out assaults. 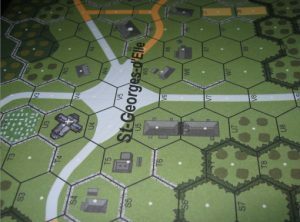 Module Westfront with 19 Scenarios and 4 Campaigns (‘Operation Jake’ is a shorter introductory Campaign with 2 Scenarios on a single Map A). Module Eastfront with 19 Scenarios and 3 Campaigns (Stalingrad consists of 5 Scenarios 18 Turns each on an evolving unique Stalingrad Map).